Finished Measurements: Length for all sizes is 51”/129.5cm. Back width between armholes: 14 (16, 18, 20, 22)”/ 35.5 (40.5, 46, 51, 56)cm. Artyarns Ensemble Light (50% Silk, 50% Cashmere), 2.8oz/80g, 400yds/365m. 4 (4, 5, 5, 5) Skeins of # H18. 1 pair of US 4/3.5mm knitting needles 1 24”/60cm or longer US 2/3.5mm circular needle or a set of US 4/3.5mm double pointed needles or size to obtain gauge. 26 sts x 33 rows = 4”/10cm in Stockinette stitch, using US 4/3.5mm knitting needles. 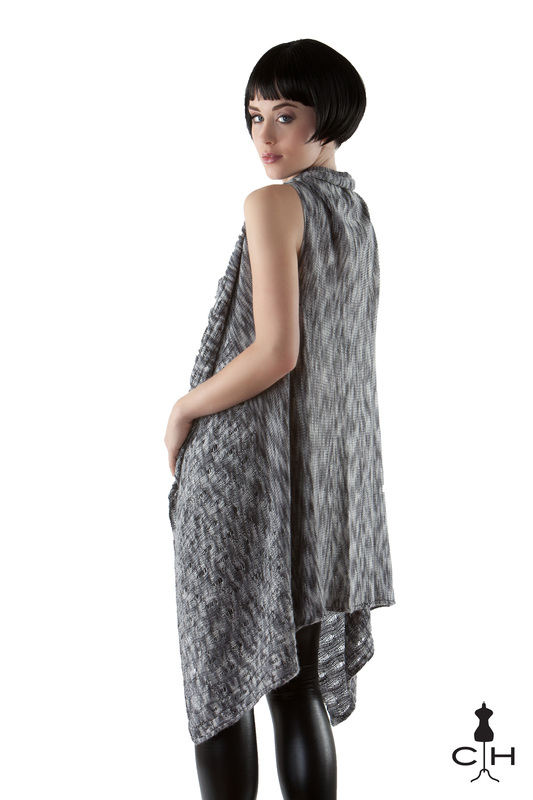 A beautifully soft and flattering wrap for any body type. 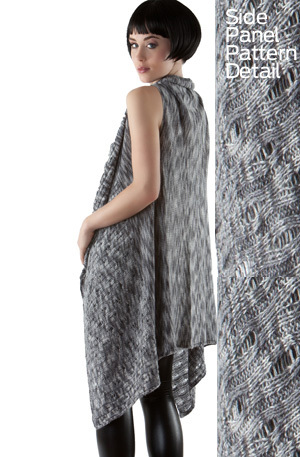 Elegant drape and subtle detail define this stunning pattern. Enter Custom Color No. in box. Tired of frumpy shawls? Bumpy Blankets? 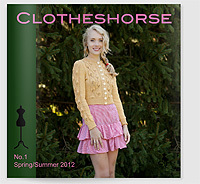 Checkout CLOTHESHORSE, combining the best of luxury yarns with REAL fashionista spirit!